Low maintenance, efficient and dependable. 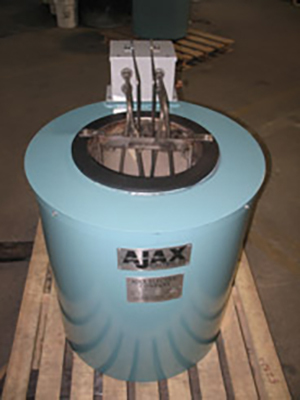 Ajax TS furnaces are custom designed and sized from tabletop units to large production models. Smaller units are ideal for laboratories, schools and test facilities. Temperature uniformity within +/- 10 deg F within the work dimensions of the bath. More precise temperature uniformity is available upon request. Furnace is easily restarted without the assistance of external devices. Resistance style immersion heaters are easily replaceable without emptying the furnace. See Data sheet MP-20 PDF for further details. 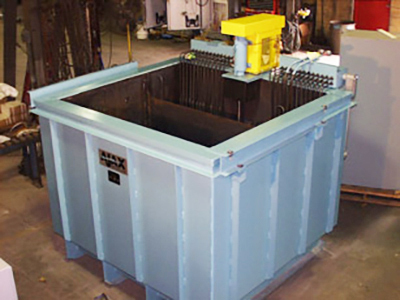 Removable electrodes can be changed without emptying the furnace. 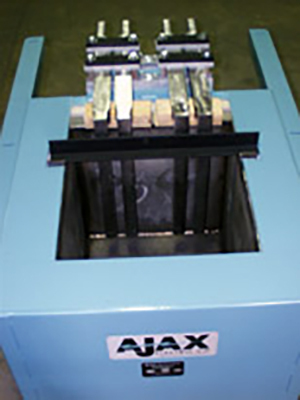 Large cross-section electrodes are fabricated from heat resistant alloys for long life. Internal heating provides maximum heat transfer efficiency to save energy. See Data sheet MP-10 PDF for further details. 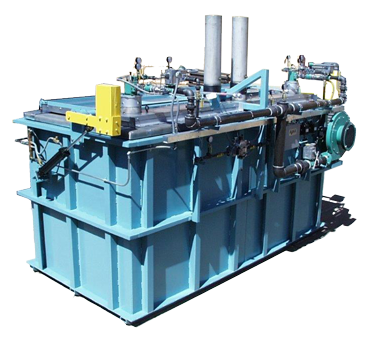 Combustion systems designed to current safety code requirements.